A group from The Ridge Fellowship was invited by Dr Furgeson and Dr Lewis Alexander from Intimate Life Ministries to Israel. Pictured are Lewis Alexander, my wife Niki and my Dad. 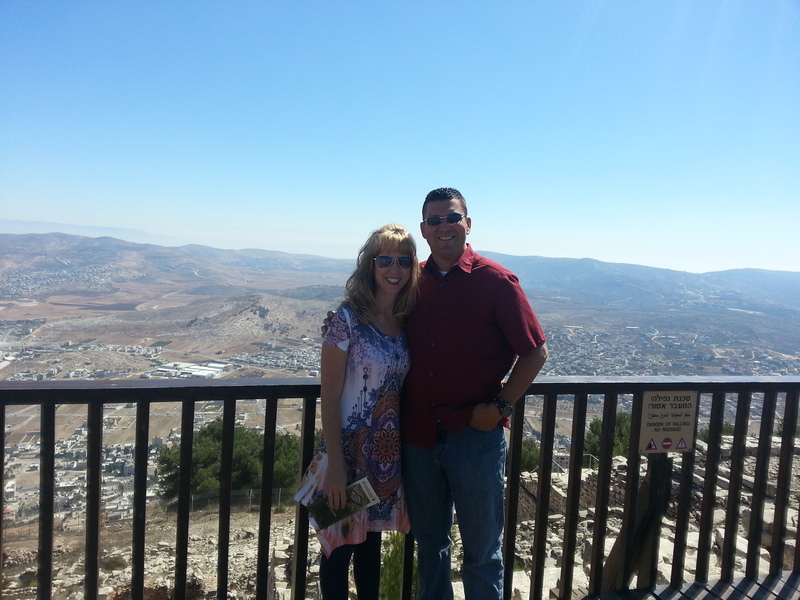 The first day we spent time in Bethlehem. Pictured above is a kindergarten class at Jerusalem School Bethlehem. 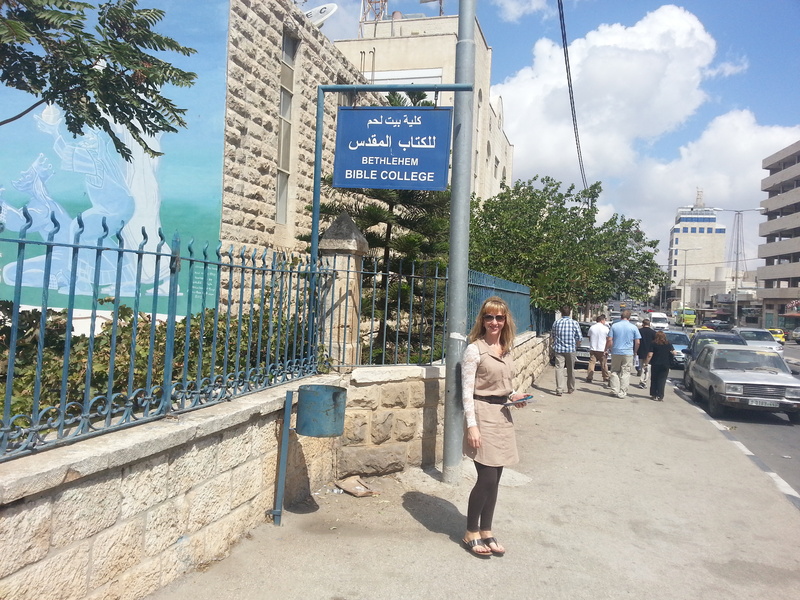 It’s a Christian school that’s serving the Arab population in Bethlehem. Pictured to the right is Jamison Creel, the school’s superintendent. He’s from Alabama and a huge Crimson Tide Fan! We can help this school in many ways. Then we went to Bethlehem Bible College. This is an interdenominational school that prepares students to become teachers, pastors, youth directors and more. 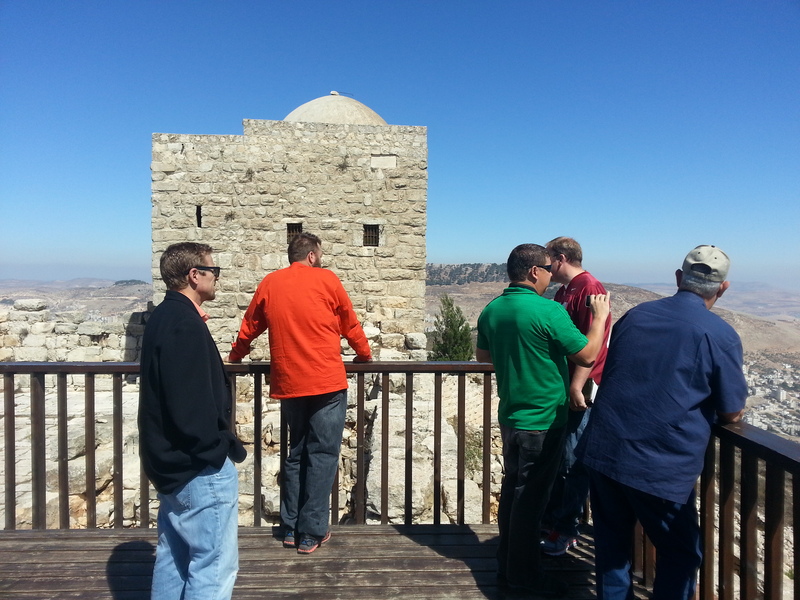 There are opportunities to partner with them to impact the Holy Land. Pictured above is the President Jack Sara with his wife. Below is my wife, Niki. 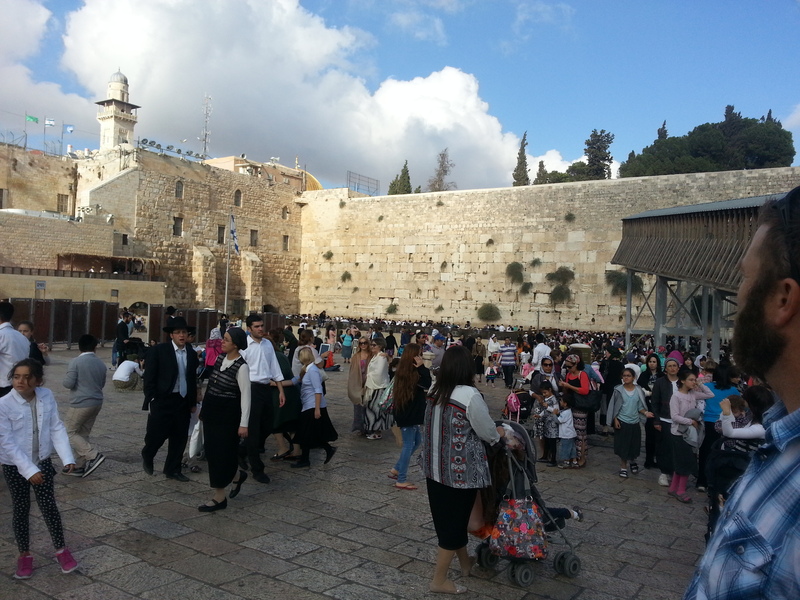 Then we went on to Jerusalem, below is the Wailing Wall, or Western Wall. It is all that is left after the Roman’s destroyed the Jewish Temple in 70 AD. Many still go an pray there. 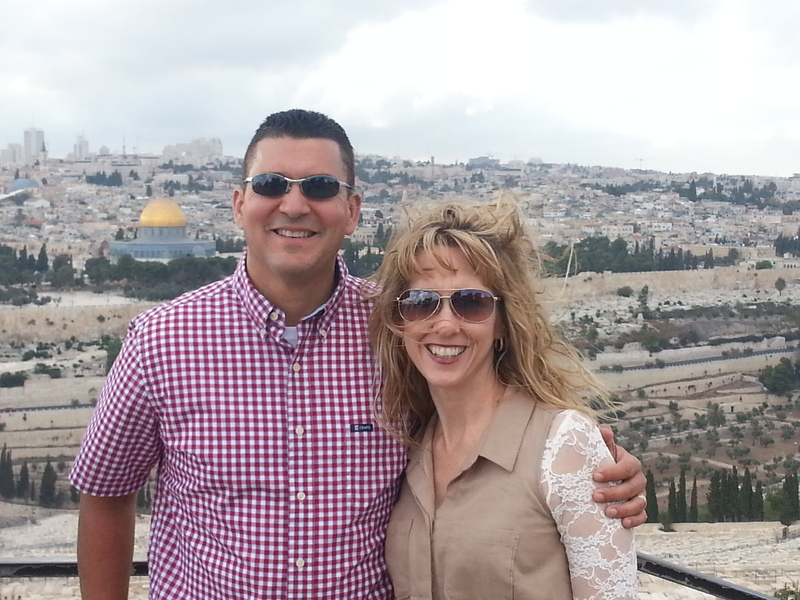 Below, we are on the Mount of Olives overlooking the old city of Jerusalem. 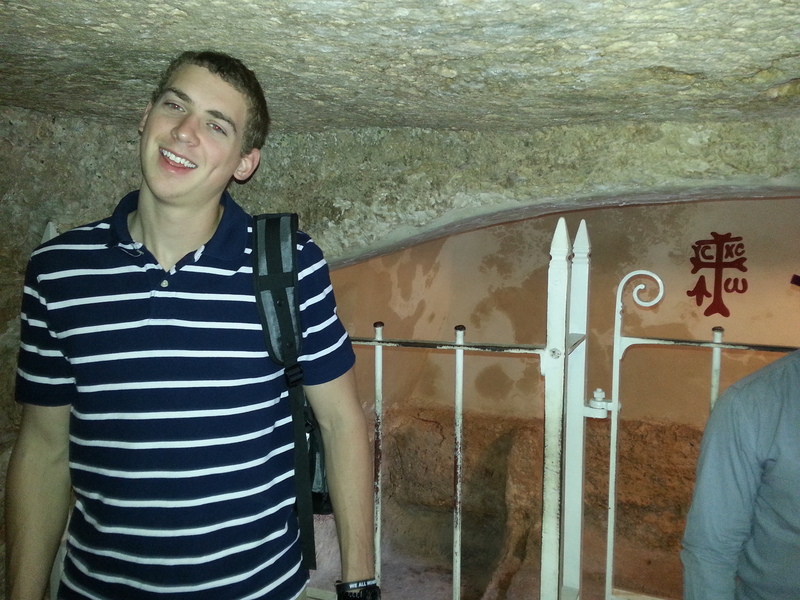 Inside the Garden Tomb, pictured below is Aaron Alexander, Lewis’s son. He will be a basketball coach for the Jerusalem Bible School that was mentioned above. 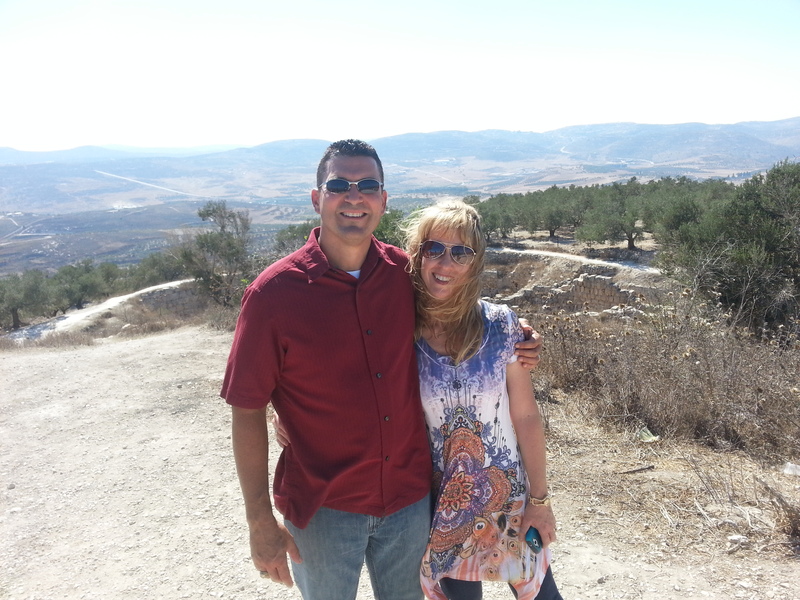 Notice the red cross, in the back ground, its an ancient cross painted by early Christians that worshiped there. Communion at the Garden Tomb. below are my dad, Niki & Pastor Brian Shobert from Life Point Church in Longview Tx. 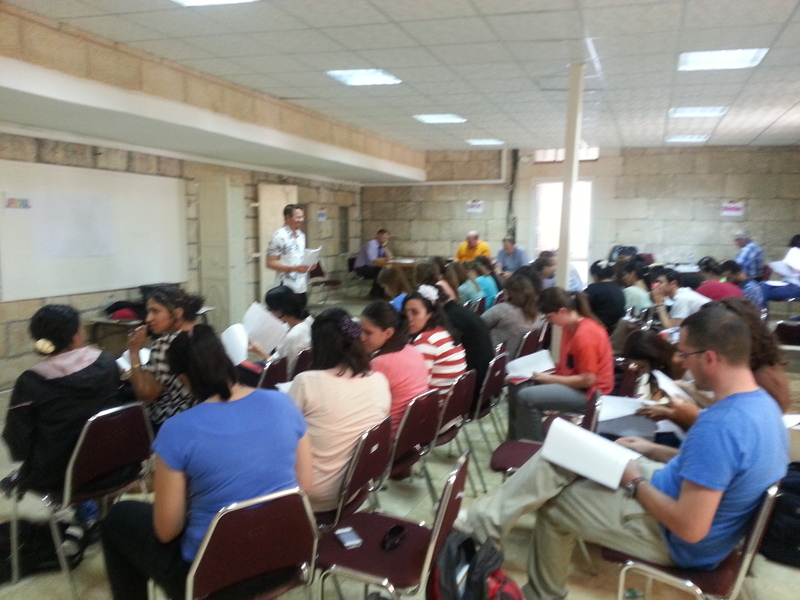 Below is Dr Lewis Alexander doing a relational training for the teachers at Jerusalem School, Bethlehem. A contemporary church meets in that room as well. I was privileged to give the message at the church that weekend. The Next day we got to go the Church of the Nativity. Pictured below is the exterior. It’s thought to be the oldest church still in existence. 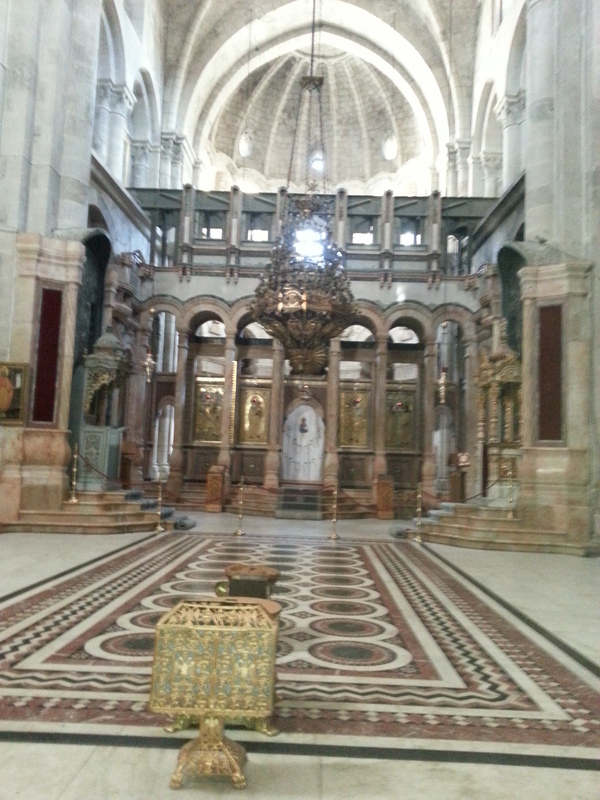 Below is Inside the Church of the Nativity in Bethlehem. The church was built over the traditional site of the manger. 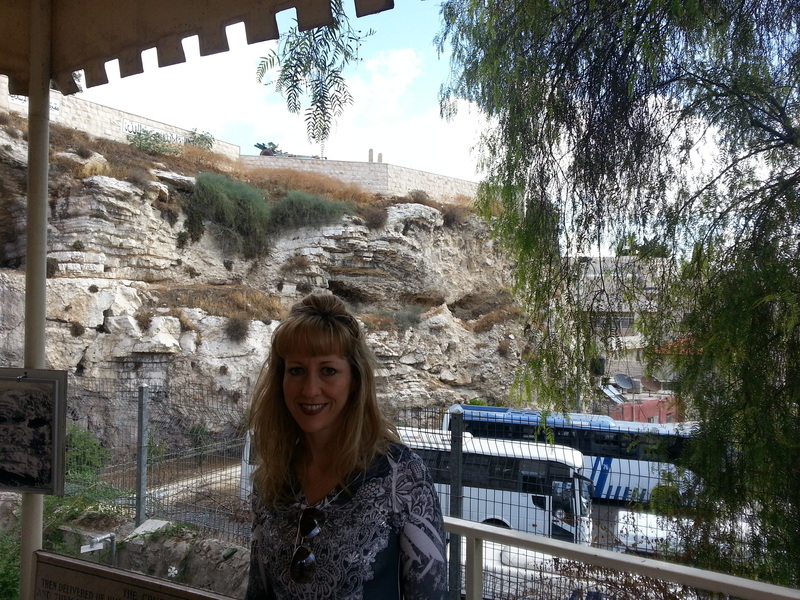 Below is the grotto or cave below where it is believed that Jesus was born. In that region stables were often in caves. Other facts that I did not know about Bethlehem in the present day: The Christian population of Israel is about 2%. So there is a lot of work to be done! Of the 2% most of Christian’s live in Bethlehem. However a wall was built around Bethlehem with strict military check points in or out. 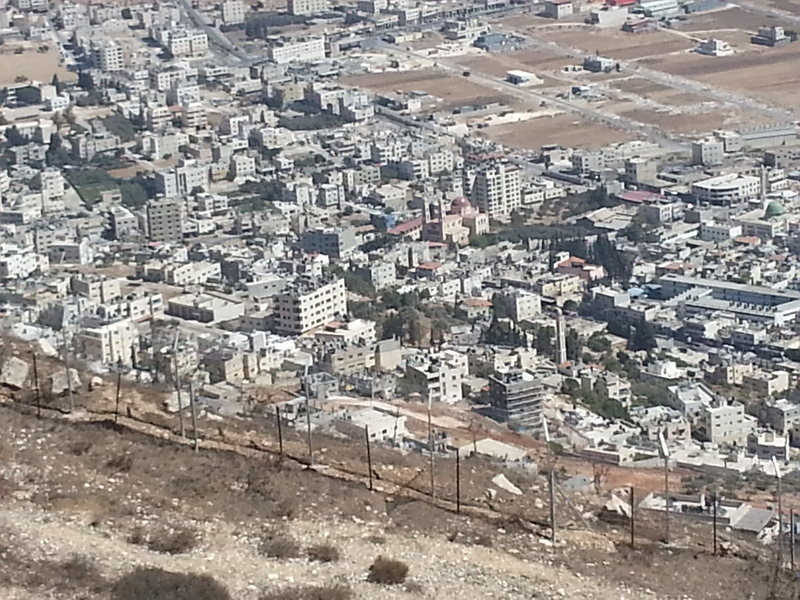 This was due to a some fighting that took place there with the Second Intifada. Personally I am grieved that the people there, especially the Christians are not free but literally prisoners in their own city. 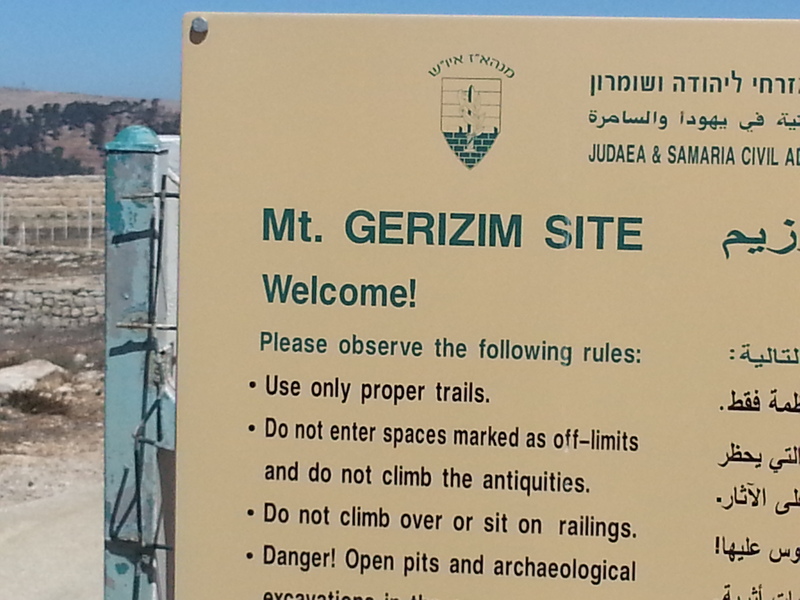 From there we went to Mount Gerizim. In Samaria was where the Northern Kingdom of Israel was located, until it was conquered by the Assyrian Empire in 722 BC. In the New Testament era, it was where the Samaritans of Jesus day lived and had a temple there. 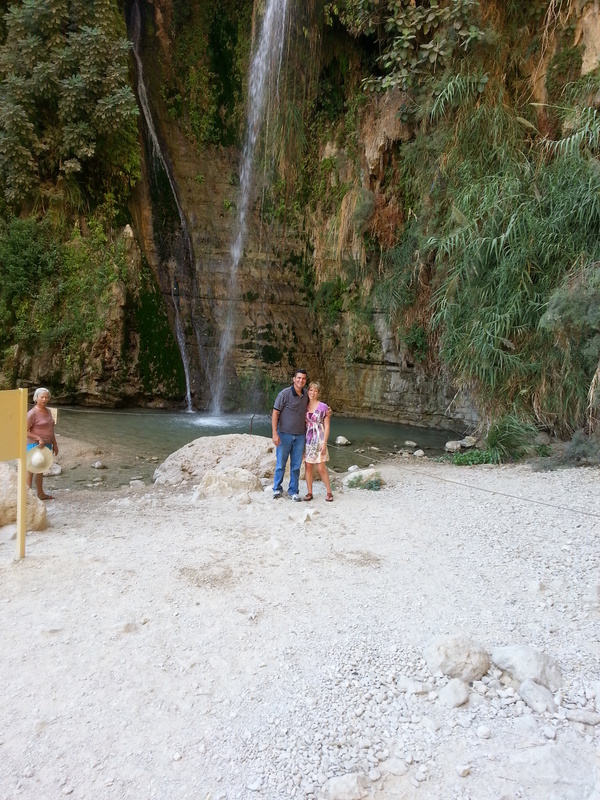 This was the place that is mentioned by the Woman at the Well, who was a Samaritan. 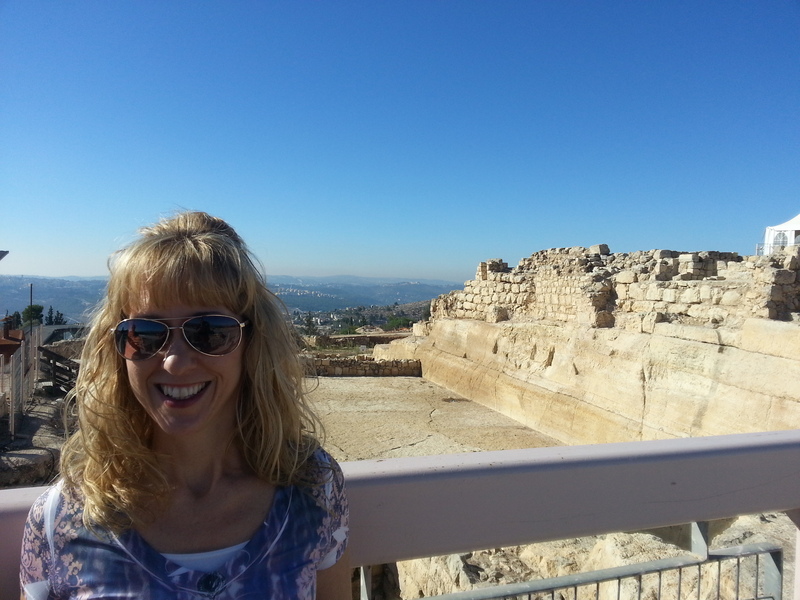 In the picture below was the city of Sychar where the Samaritan woman was from, the church with the red roof was built over Jacob’s well where Jesus and the Samaritan woman talked. 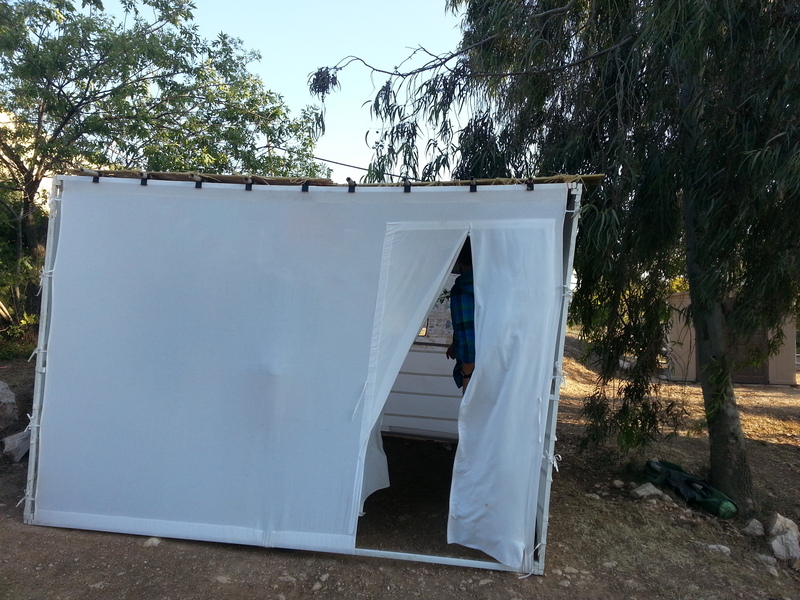 Other great work in the area is Holy Land Trust. 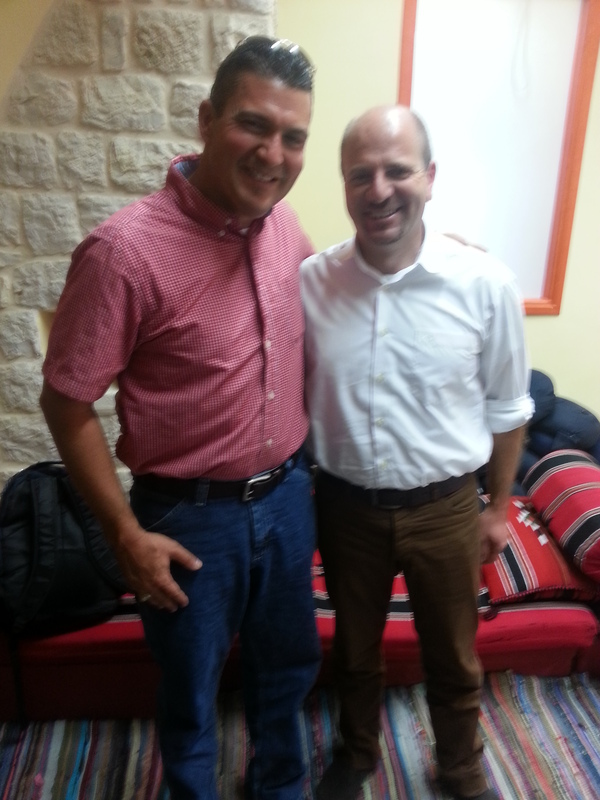 Pictured below with me is its founder Sam Awad. Hebron. 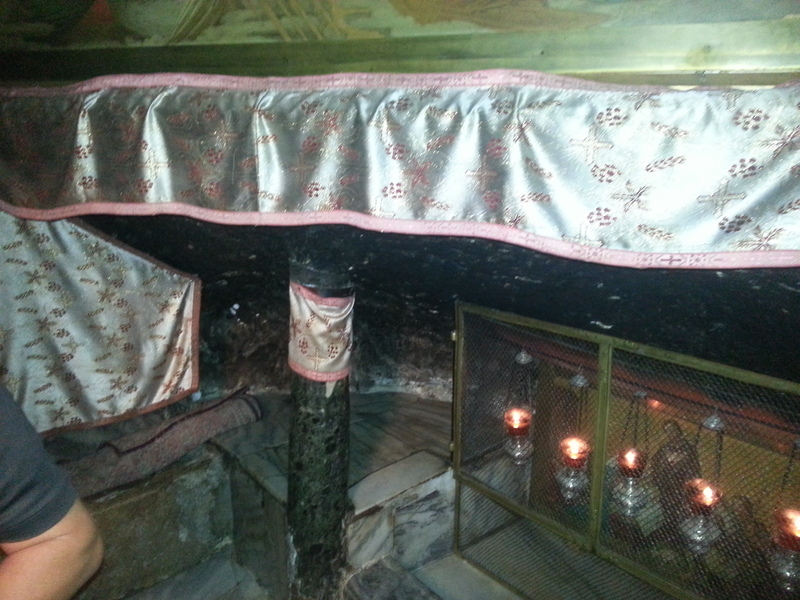 where Abraham is buried, behind the green bars is thought to be his tomb. 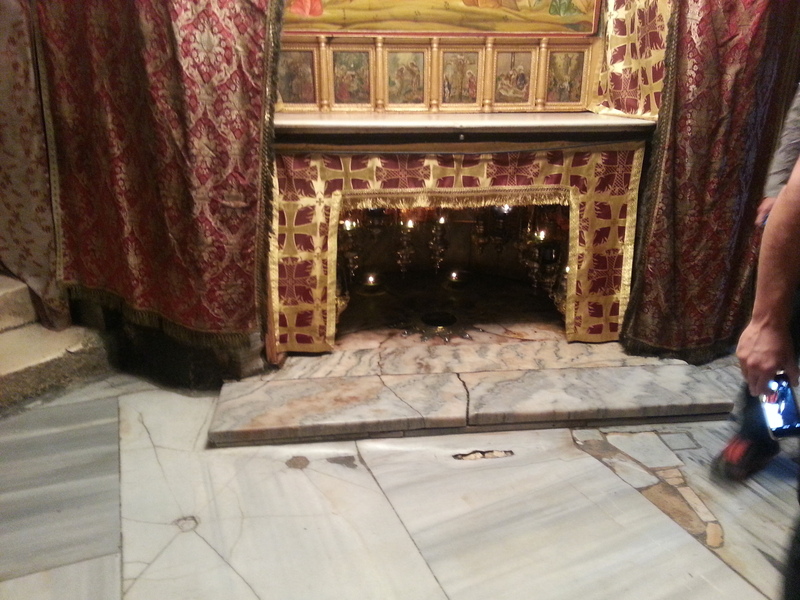 Below Church of the Holy Sepulche, thought to be the place where Jesus was buried. 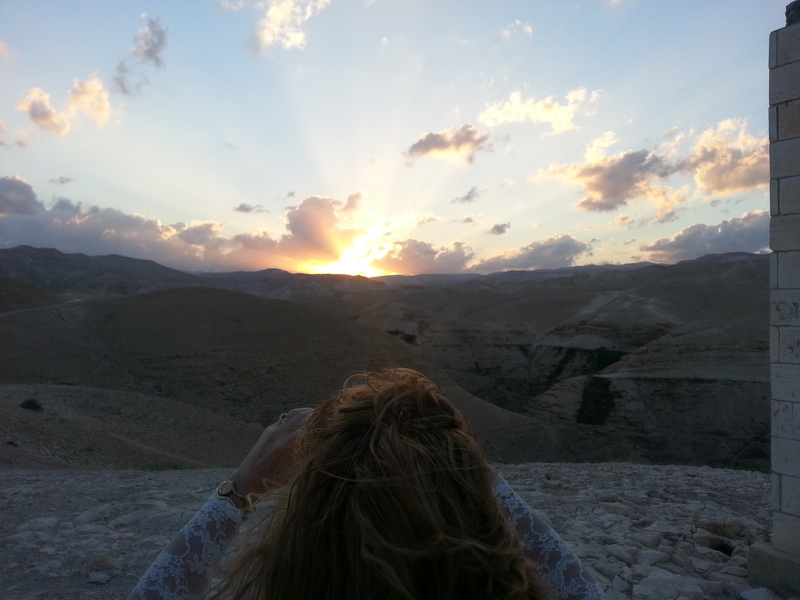 The next day we went south the the Dead Sea region, in the Rift Valley. Pictured with me Jamison Creel. 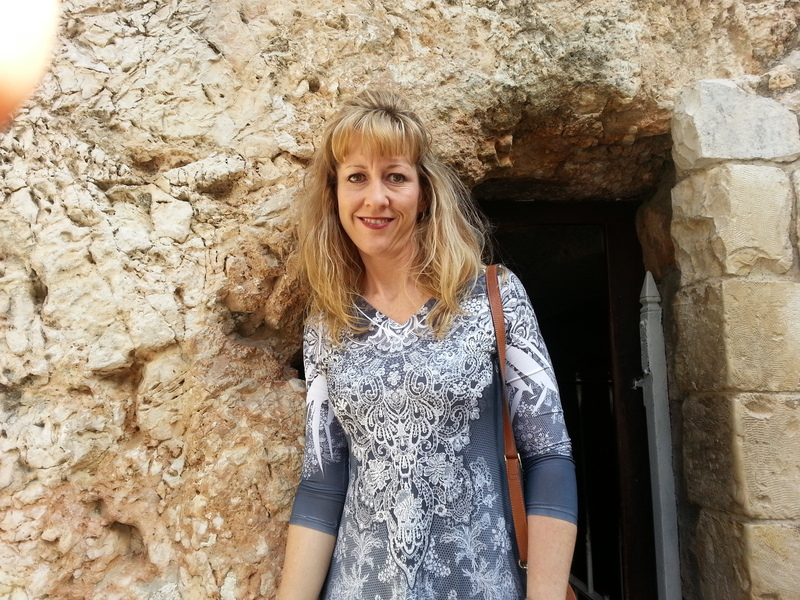 He served as our tour guide and is the superintendent of the Jerusalem School of Bethlehem and the pastor of a local contemporary church that meets there. 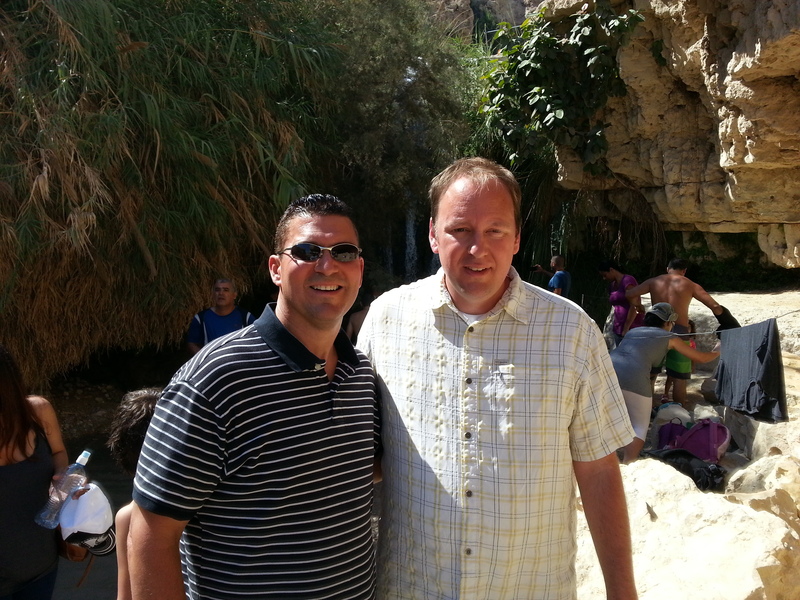 He is a man of God and has a great ministry in the Holy Land. 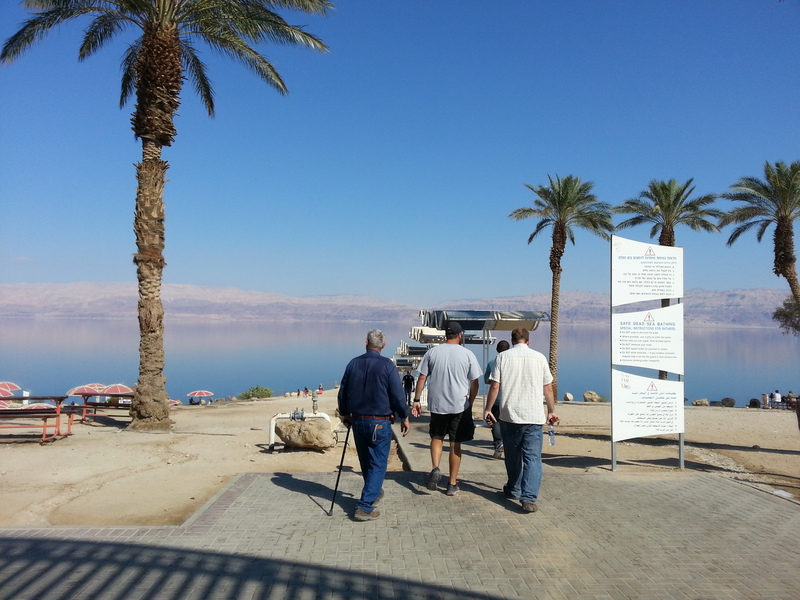 At the Dead Sea which is the lowest place on earth: 1,388 feet below sea level! As well as the saltiest body of water, 10 times as salty as the ocean. In the bible it’s called the Salt Sea and mentioned at least 10 times. 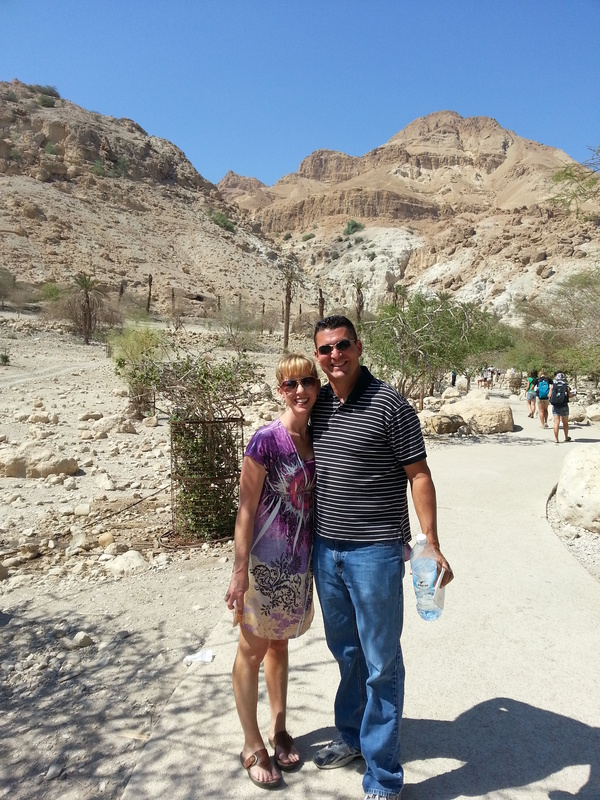 Also near by was the community of Qumran where the dead sea scrolls were found. 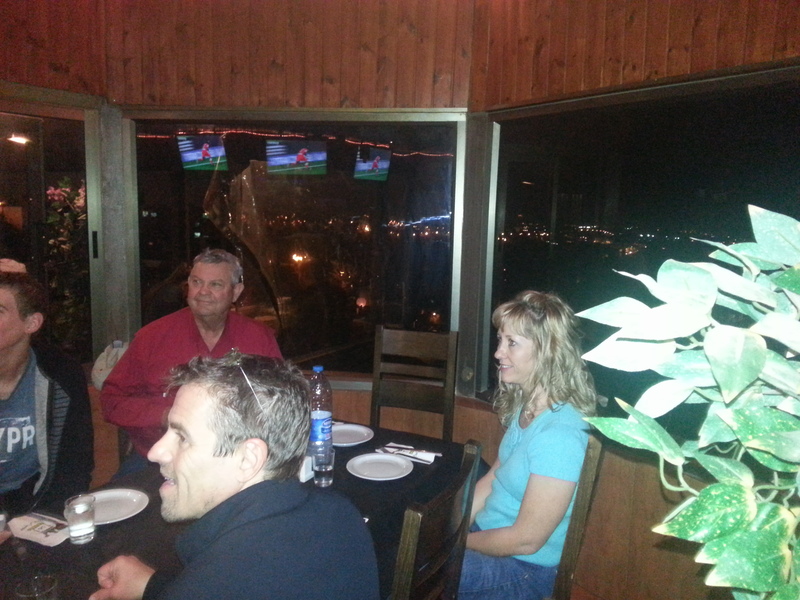 The purpose of the trip was to foster some ministry partnerships in order to return in the future. The hope of future trips is to have half of the trip seeing sites like above and the other to serve in the schools, ministries and communities. The Ministry leaders there said that as American believers our “presence” there speaks volumes and is an encouragement to them. Are you in interested in going? We will return March 11-16, 2014 which is Spring Break. 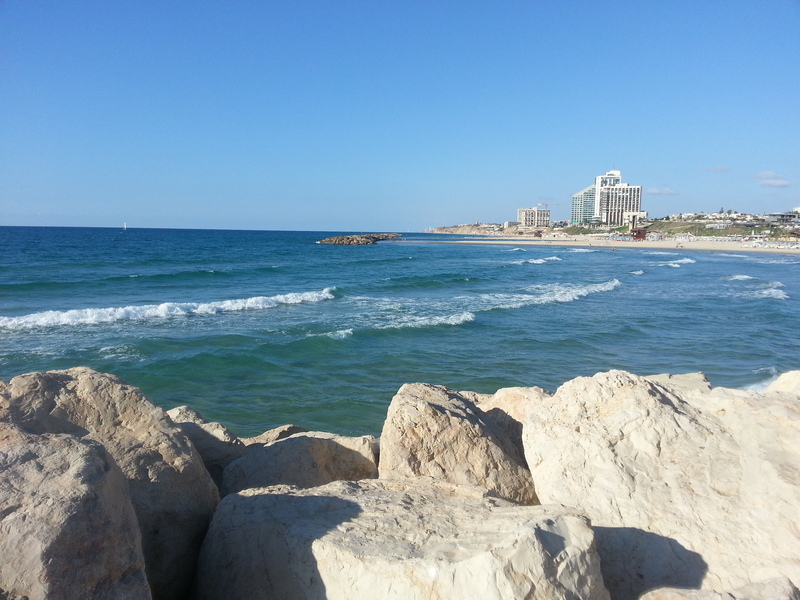 This entry was posted in Global Outreach/Mission Trips and tagged Bethlehem, Holy Land, Jerusalem, Mt Gerazim, Samaria. Bookmark the permalink.